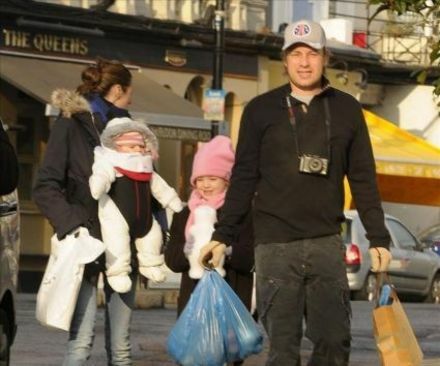 Celebrity chef Jamie Oliver has revealed that he would be “fine” if he never has a son, after revealing that his wife Jools is pregnant with their fourth child. The 34-year-old star and Jools already have three daughters – Poppy Honey, eight, Daisy Boo, six, and Petal, 11 months. The couple recently announced that Jools is pregnant with their fourth child and Oliver said that he wouldn't mind if their new baby is another girl. Oliver added that it was never his intention to have a large family. He said: 'It wasn't always my plan, not really. It was always Jools' plan. She wants a big family. I'm really happy with my lot.